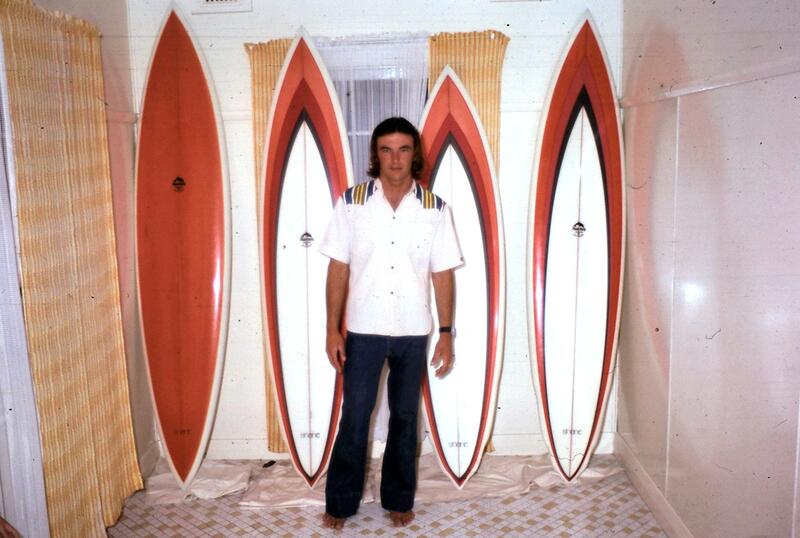 Around the mid seventies there was 2 great surfing Col Smith’s, the other from Narabeen, both powerfull goofy footers and both shaped surfboards and won contests. Redhead’s Col Smith was an Australian Champion and also placed in 3 contests in Hawaii. 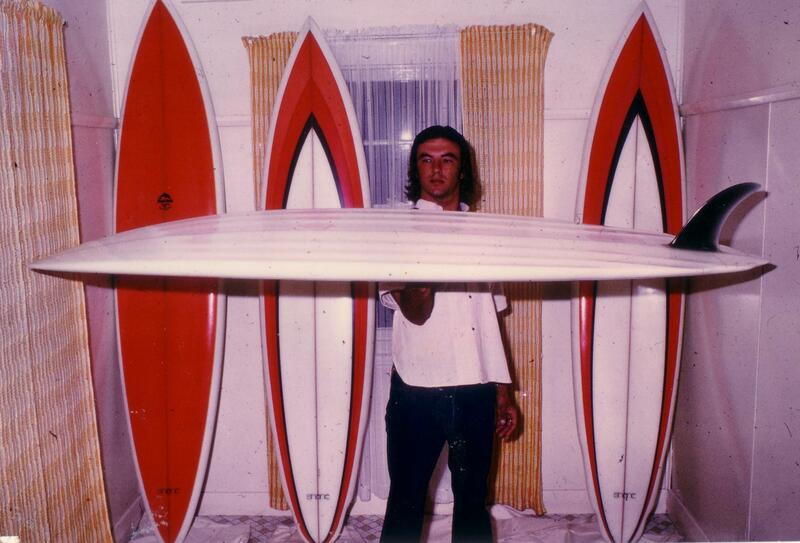 These photos around 1976 shows the boards he took to Hawaii and shows the distinctive channel bottom, Col riding Pipeline on the board shown here is in the surf movie Fantasea. 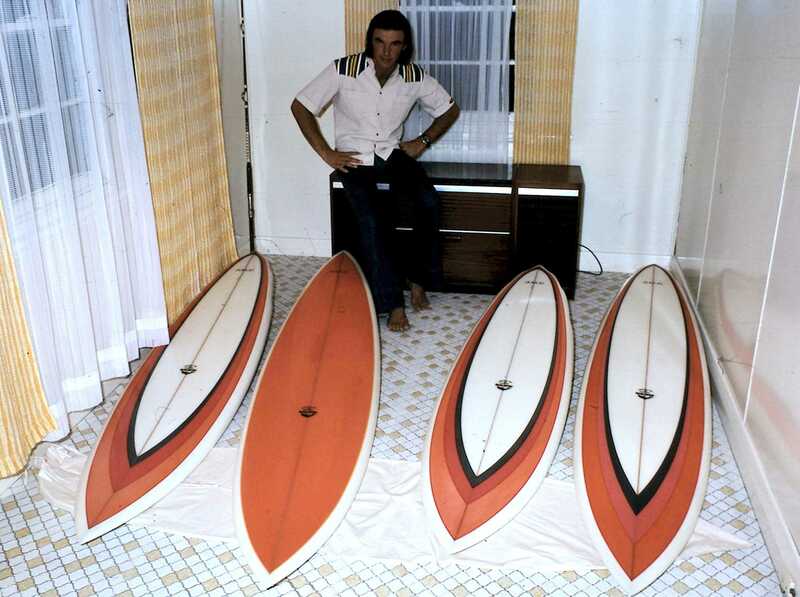 These boards were made by Shane and were shaped by Jim Pollard who invented the channel bottom. Col was 8 years younger than me and I saw him grow up into a powerful surfer with his own smooth style. I first saw Col in the surf when he was 8 on a coolite and was free falling into a tube as I was scraping over the top of it. 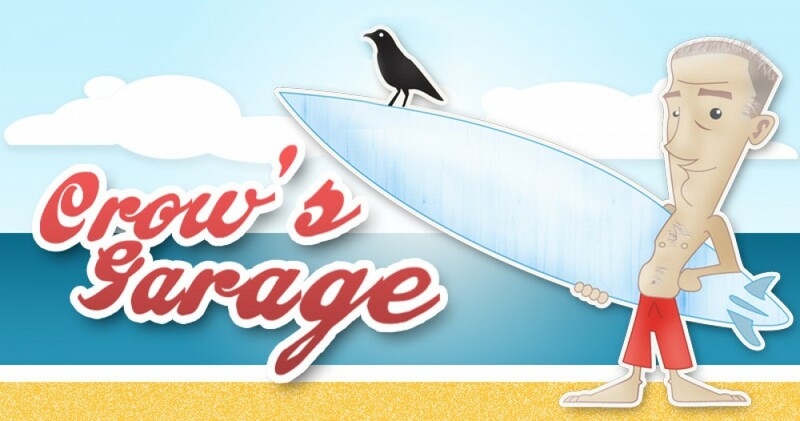 He started borrowing his brothers 9 foot 6 big red South Pacific at Seal Rocks and then was soon winnning junior contests on a plastic machine around 1969. Boards then started getting shorter and Col mostly rode “Bee” tailed channel boards. 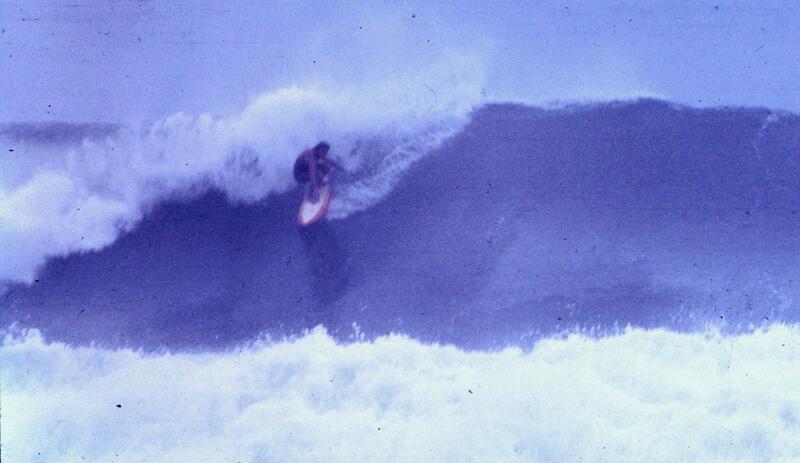 Here Col gets into his trademark in the tube positon at Redhead around 1975. 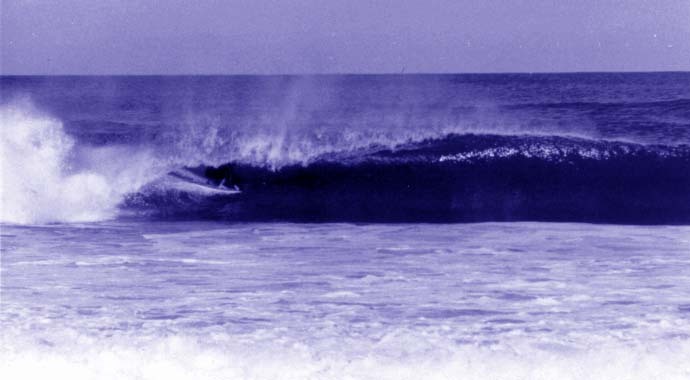 Col Smith was the secret weapon for Redhead Boardriders club in the early 70’s, put in the last heat and only around 13 years old, the other clubs would put their older more experienced riders in and get a shock. Col would cheer you into any wave you may have had second thoughts about and off you’d go. When you emerged either having made it or near drowed, he would be there still chearing you on. Same thing when fishing, he was just as stoked to see you get a good one as himself. 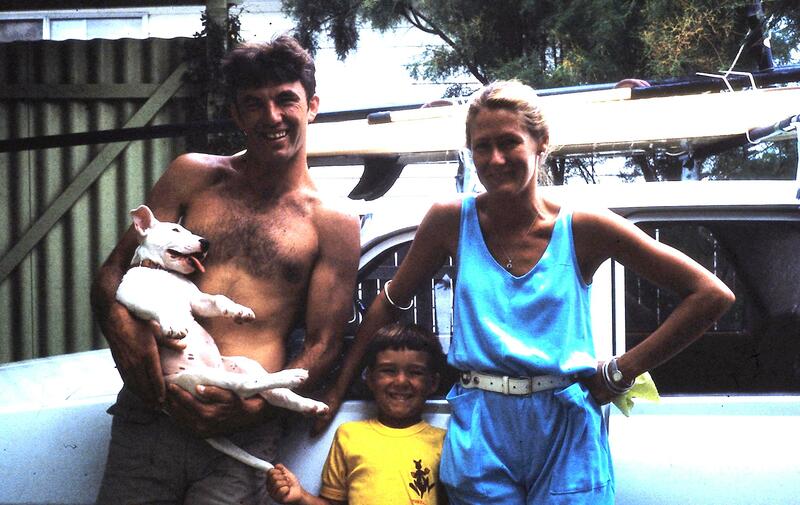 Col and family at Christmas 1983, his son Rique is an excellent surfer. 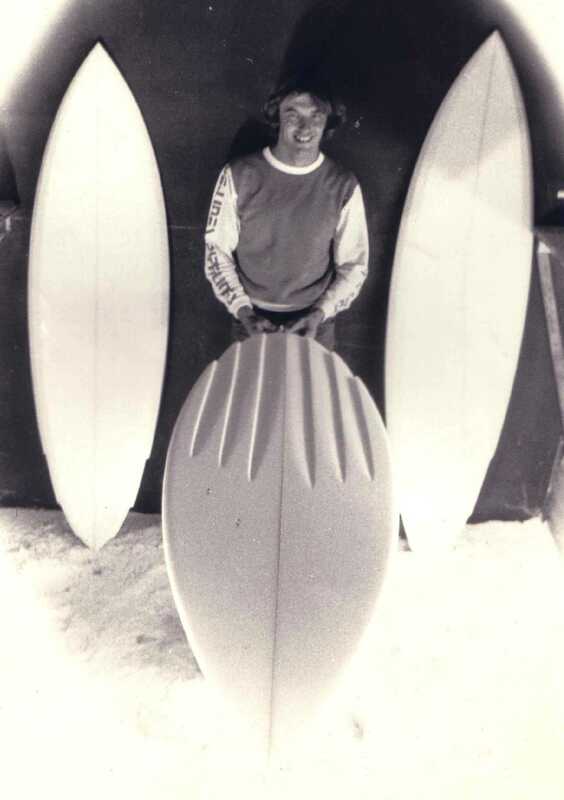 Col Smith Shaping Channel Boards 1977. This one was mine. Col Smith paddles out at Redhead. 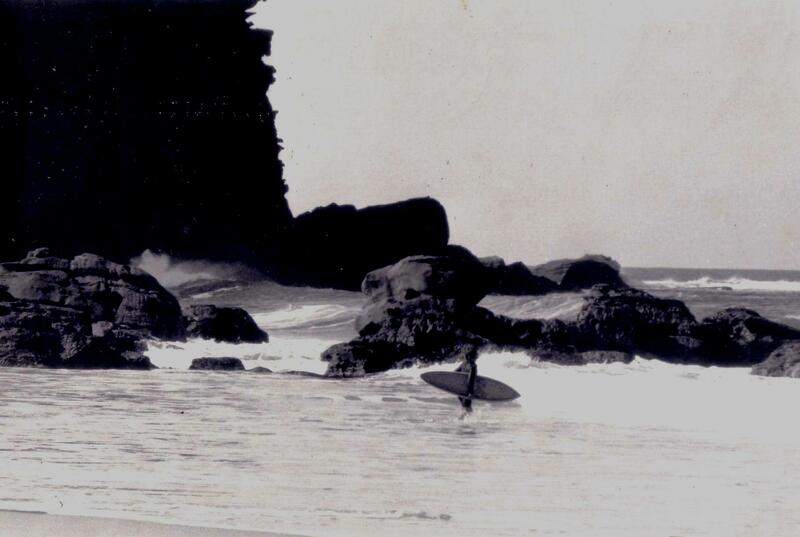 This entry was posted in Redhead, Surf by geoffcrow. Bookmark the permalink.